At Star Instruments Ltd. we offer a calibration service and can supply calibration certificates for our own products as well as other brands. We also have a collection and delivery service available for your convenience. ity instrumentation can drift through general usage. 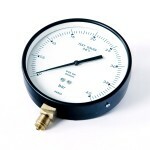 often depends on the operating condition of the pressure gauges it contains. Calibration certificates for pressure gauges include ratings for both rising and falling pressures.